The bubble game becomes even more dynamic and absorbing. There are three game modes that change one another: arcade, puzzle and survival. Blow up all falling balls matching those 3 or more and clear the playing board in the arcade mode. 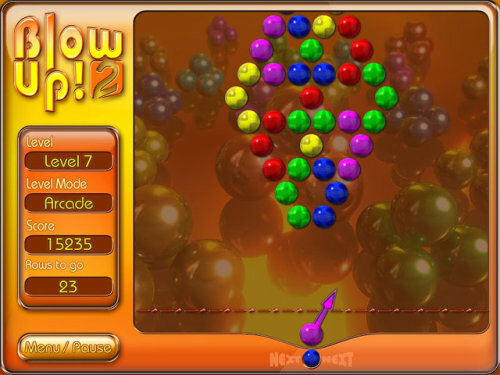 Do not hurry in the puzzle mode as the number of balls to shoot is limited so every shoot should be deliberate. Shoot as quickly as possible in the survival mode and hold out for the limited time.